Here is a preview of the upcoming Mariah Carey collection that OPI will debut in January 2013. There will be 8 colours and they are divided into 2 categories: studio and stage shades. The stage shades feature the new Liquid Sand polishes which are textured with a matte finish and sparkle. Below shows what the Liquid Sand polishes look like when on the nail. Hope you all enjoyed this post! I am very excited for the two Mariah Carey collections, since I'm a huuuuge Mariah Carey fan!!! Which colours are you most excited about? 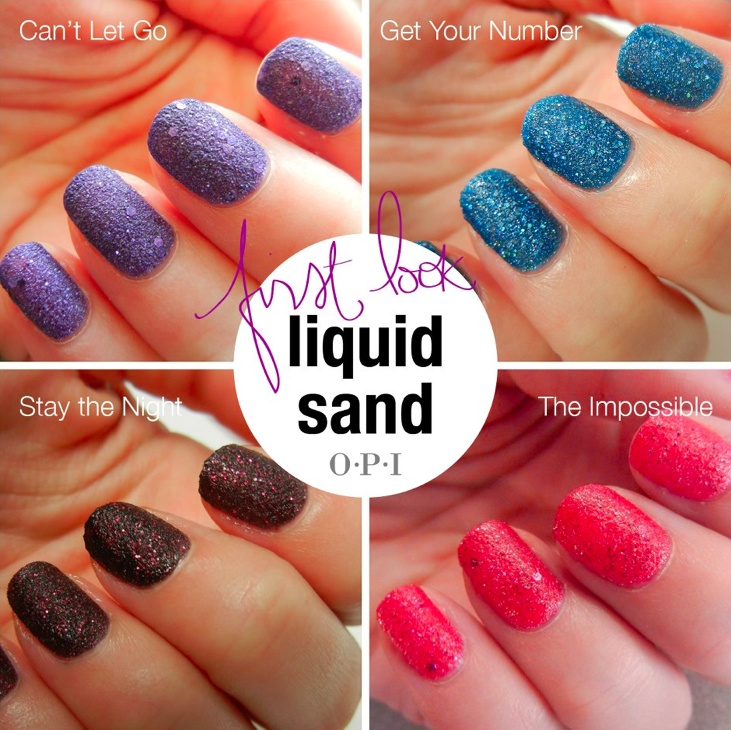 And what are your thoughts about these new Liquid Sand polishes?